A majority of church-going American Christians are unfamiliar with the term, the "Great Commission," a recent survey found. Even among those familiar with it, 25 percent recognized the phrase but could not explain what it was. Only 17 percent were familiar with the phrase and its meaning. So what exactly is the Great Commission? And why is it a controversial idea for some? Briefly, the Great Commission is a concept that has been used to support the missionary activities of many Christian denominations. The Great Commission refers to several passages in the Gospel of Matthew, where Jesus Christ urges his apostles to make "disciples of all the nations" and "baptize" them. The word "disciple," which is "mathetes" in Greek, literally means "pupil" but also "follower," as in "follower of Jesus." "Baptize" refers to the Christian practice of using water to remove the "original sin," an inherent fault that Christians believe marks all human beings at birth. Baptism is an important sign of entrance into the Christian faith. The Great Commission, therefore, is usually interpreted to mean spreading the Christian message and converting others to Christianity. The Gospel of Matthew does not specifically use such a term. In fact, the phrase "Great Commission" does not appear until late in Christian history. Some scholars argue that it was coined by Baron Justinian von Welz, a 17th-century Lutheran nobleman, who argued that the words in Matthew 28 meant that all Christians were required to spread the faith, not just Jesus' closest disciples. Von Welz proposed a missionary organization called the Jesus-Loving Society to spread Protestant Christianity throughout the world. It is thought that the term "Great Commission," or certainly the basic concept, was central to von Welz's argument for bringing Christianity to foreign lands. Two centuries later, the Englishman Hudson Taylor is believed to have used the idea of the Great Commission to justify Christian missionary efforts, particularly the China Inland Mission that he founded in 1866. Taylor's mission attempted to bring Christianity to China's inland provinces. This was dangerous work and 79 China Inland missionaries were killed later, in what is referred to as the Boxer Rebellion. Hudson is often cited by Protestant missionaries, in the quote: "The Great Commission is not an option to be considered, but it is a command to be obeyed." There does not appear to actual evidence, however, that he actually spoke these words. Christian missionary activities predate the use of the term "Great Commission." The Apostle Paul was influential in establishing Christian churches throughout the Mediterranean after the death of Jesus. Much later, Catholic religious orders, such as the Society of Jesus, attempted to spread Christianity throughout the world, usually with the help of powerful nations such as Portugal and Spain. The Great Commission certainly motivated Protestant efforts to convert nations and peoples in Africa and Asia in the 19th century. It also fueled more recent efforts by evangelical Christians to "missionize" Catholic Latin America. Indeed, Latin America would not have become so Catholic without indigenous peoples being dominated by European imperialism and colonialism. 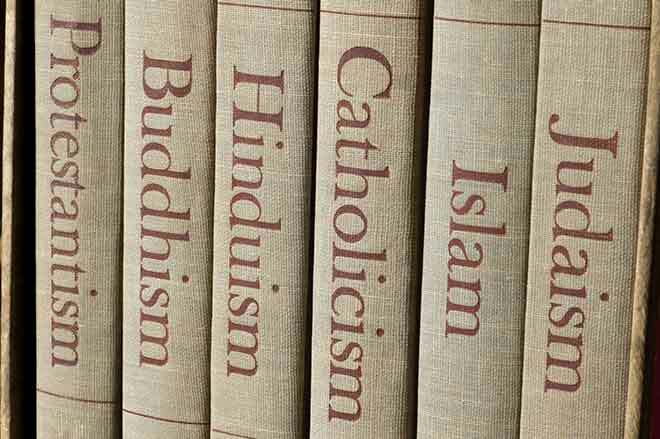 Converting others to Christianity raises a fundamental question about whether religious diversity is a reality to be celebrated or an obstacle to be overcome. Given the complex history of missionary activity, the meaning of the Great Commission will continue to be a subject of debate as Christianity confronts a rapidly changing world.